The 72nd Infantry Brigade was organized with the 36th Division at Camp Bowie, Fort Worth, Texas, in July, 1917. The Third Texas Infantry and the Fourth Texas Infantry, both of which had been serving on the Mexican Border since May, 1916, were brought to Camp Bowie and combined with the recently organized units to make up the three units of the brigade, which were the 133rd Machine Gun Battalion, 143rd Infantry and 144th Infantry. The brigade, commanded by Brigadier General John A. Hulen, who had commanded the Texas Brigade on the Mexican Border, trained at Camp Bowie until the 36th Division was moved to France in July and August, 1918. On arrival in France, the brigade was billeted in the 13th training area near Bar-sur-Aube until September 26, when it was moved with the division to the area between Epernay and Chalons. The Meuse-Argonne offensive was under way only a short distance to the north. The American attack was being aided by the Fourth French Army in the Champagne sector. The resistance to the American advance in the Champagne sector was severe, the Second Division having suffered heavy losses, and its advance having been held up in the vicinity of Blanc Mont and St. Etienne. The 36th Division was transferred to the Fourth French Army. The 71st Brigade relieved the Second Division on the night of October 6, between St. Etienne and Medeah Farme. The 71st Brigade attacked on the morning of October 8 and made substantial gains toward Mechault. The remainder of the division, including the 72nd Infantry Brigade, completed the relief of the Second Division, and the command of the sector passed to the 36th Division on October 10. Between 5 and 6 p.m., October 10, the 72nd Brigade passed through the 71st and attacked in the direction of Mechault and Conroy. The attack was severely resisted but resulted in a slight advance before dark. Under pressure of the brigade, the following morning, the enemy began his retreat to the north in the direction of Ducourt and Ettigny. The 72nd Brigade took up the pursuit, and lively rear guard action followed between St. Etienne and Mechault, which resulted in the encircling of the latter town and the establishment of lines to the north of it. The following day, the brigade pushed forward to Hill No. 167, northwest of Vaux Champagne, overlooking the valley of the Aisne from Ettigny to Givry from which position patrols were pushed out to the canal. The enemy was strongly entrenched on the northern bank of the Aisne and had taken every precaution to prevent a crossing. The 71st Brigade went into the line on the 15th, taking over the front of the 73rd French Division to the east of the 72nd Brigade. Thus the line of the 36th Division was established with the brigades abreast; the 72nd on the west, and extending along the slope of Hill No. 167 approximately four kilometers from the Aisne. On the 27th, Foret Farme, a stronghold south of the river, which the enemy had stubbornly defended, was stormed and the entire garrison killed or captured. The 72nd Brigade was relieved with the 36th Division on October 26. The brigade was assembled in the Suippes-Somme-Suippes area, and from this point moved to the Triancourt area. Here the brigade remained until the signing of the Armistice. Shortly after the Armistice, the brigade moved with the division to the 16th training area near Tonnerre, returning home in the spring of 1919, and was mustered out of service at Camp Bowie. On the reorganization of the 36th Division, the brigade was reorganized, and was Federally recognized on November 8, 1922. 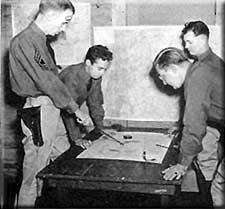 Under the new tables of organization, the Brigade Machine Gun Battalions were eliminated. Except for this change, and for the addition of the Brigade Headquarters Company, the brigade was reorganized as it was for war service; that is, it was composed of the 143rd and 144th Infantry, and such is its present organization. The brigade has been commanded as follows: Brigadier General John A. Hulen commanded the brigade from the time of its organization in 1917, through the period of its service at the front in France. General Hulen returned home because of urgent business in April, 1919. Major L. R. Bryan, Jr., was adjutant and Lieutenant George D. Sears assistant adjutant of the brigade during its frontline service. Brigadier General George H. Jamerson of the Regular Army succeeded General Hulen and commanded the brigade until it was mustered out of Federal service. 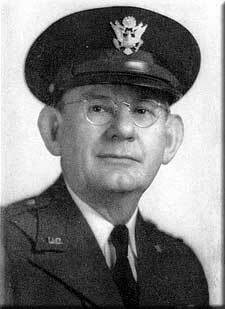 Brigadier General George P. Rains commanded the brigade on its reorganization in 1922, and remained in command until he assumed command of the 36th Division on September 9, 1935. Brigadier General Oscar E. Roberts succeeded General Rains and commanded the brigade until his retirement on May 20, 1939. Brigadier General Preston A. Weatherred succeeded General Roberts and now commands the brigade.